The single lane road that loops through Acadia National Park was at a standstill. We stood, dripping wet, under a bus shelter as the remnants of Hurricane Nate pushed his way past the continental United States. Dixie, our four legged companion, looked up with wide eyes (accentuated by the usual wiry hair flattened by wind and rain). The parking lot had emptied in record time. No cell service made it impossible to track the storm. Semi- dry and out of the gusts of wind, we decided to wait it out. As soon as the rain lessened we headed along a craggy oceanside track. 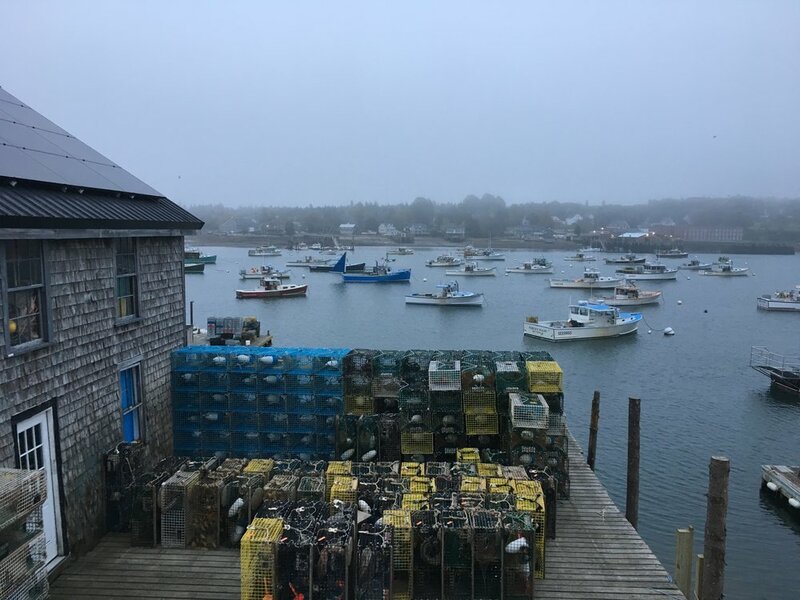 The wild Maine coast, foggy and untamed, comes alive in foul weather. The horizon grays and blurs, the ocean froths turquoise against the rocky maritime shore, the salinity sharpens the air. If only the crowds melting away in their cars knew what they were missing. Acadia in her glory. I flashed a stupendous grin back at my friend as we walked “I’m soaking wet and I don’t think I could be happier,” I say. 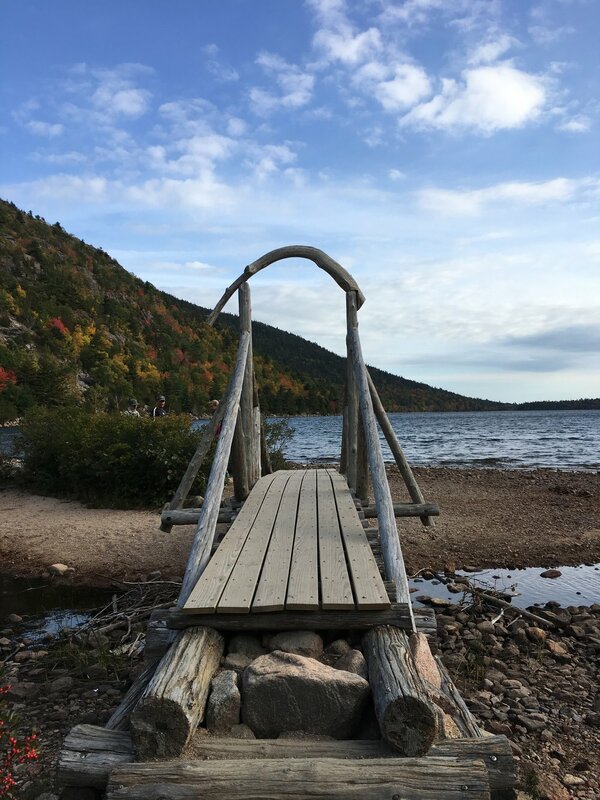 Acadia on Mount Desert Island with its dramatic mountain faces plunging into the Atlantic ocean recalls landscapes that generally require a plane ticket, although Columbus Day weekend traffic back to nearby metropolis’ does make you consider one. This relatively small National Park is situated on one of Maine’s thousands of islands and sees upwards of two million visitors each year. 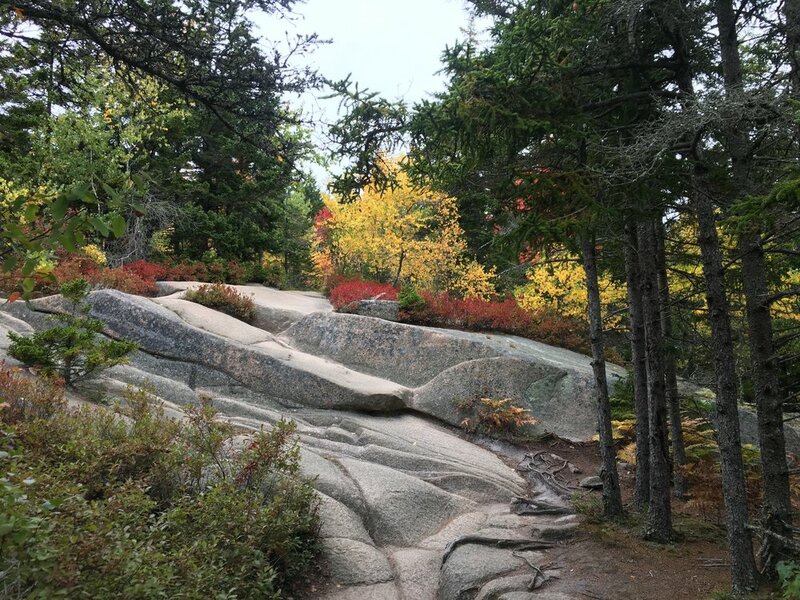 One wonders how America’s artists, scholars and elite traveled to this rural pocket in the 19th century, but the strong draw of this hiker’s paradise not only inspired intrepid travel but also sparked a committed group of advocates to preserve this remarkable landscape for future adventure seekers. For one of the most scenic routes on the Eastern Seaboard, follow Sergeant Drive along the magnificent Somes Sound, described as the only fjord on the Eastern Seaboard (fjard by officials), where whales and plenty of seals visit. If you’re camping, Mount Desert Campground is an oasis of wooded and waterside campsites, clean facilities, and friendly staff. There’s a bit of a sigh of relief when you drive down the first hill, almost like coming home. If you choose to not indulge in the simple joy of a campfire coffee, The Gathering Place at the campground serves it up hot with local baked goods, or try the Asticou Inn for popovers by the chef who made the airy pastry famous at the nearby Jordan Pond House. 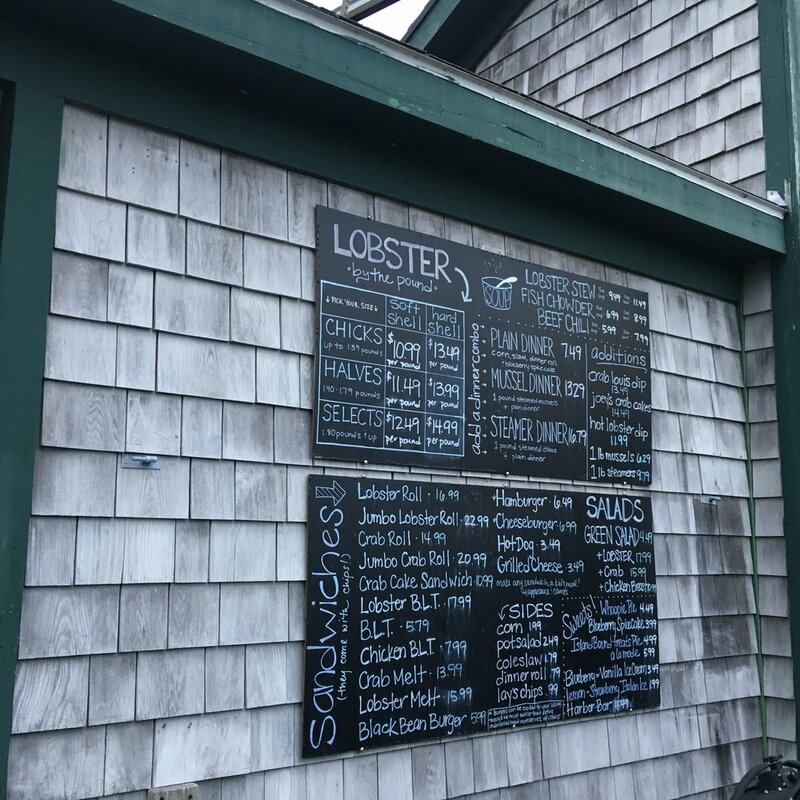 And for the soggy souls, nothing is more restorative than Thurston’s lobster stew that brings color back into your cheeks and weak in the knees at the same time. Along with a local brew in a warm and well structured bar overlooking the picturesque Bass harbor, the adventure feels complete.